It’s January 7. 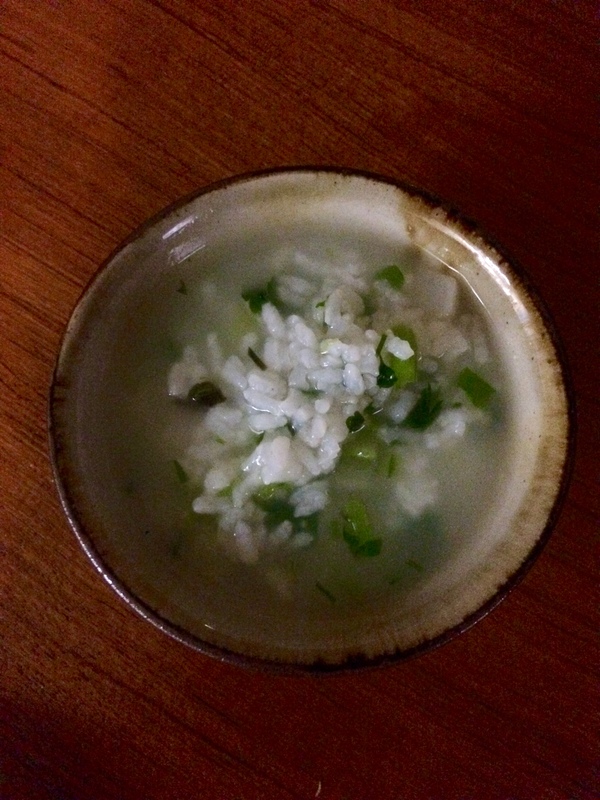 The day to eat ‘nanakusa-gayu’, rice porridge with 7 herbs, praying for good health. 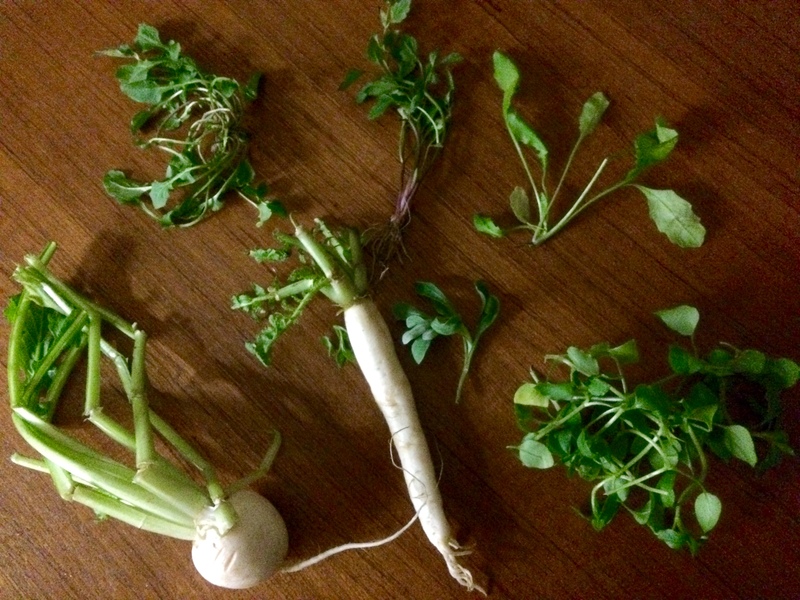 The seven herbs are: water dropwort, shepherd’s purse, cudweed, chickweed, nipplewort, turnip and radish. 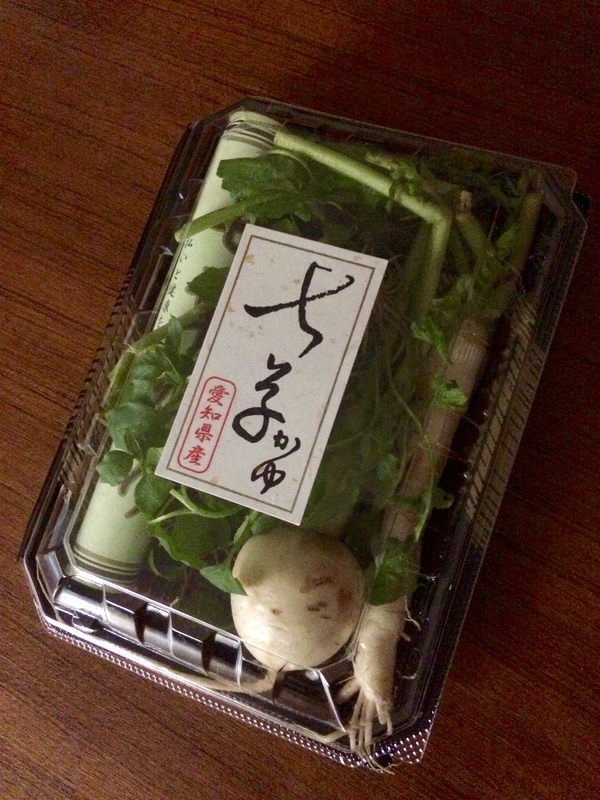 You can easily get an assortment of herbs at stores in East Japan. The recipe is quite simple. – Cook rice with five times the amount of water to rice. Boil and cut the herbs to add into the porridge. Serve with salt or soy sauce. What to add in the porridge varies depending on the region. How about making the international version of ‘nanakusa-gayu’ today?